In everything Mitra Rahbar creates is of Peace and of Love. Her voice is alive. Her heart is on the hunt "for authenticity" for everyone. Listen to this woman of "service". Mitra raises the bar for humanity to meet our responsibility we have to each other. 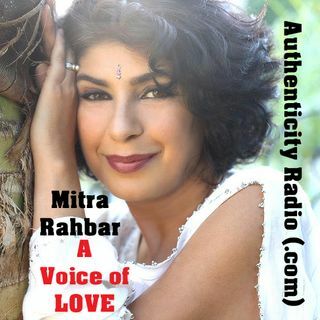 Listen to the "Voice of Mitra" on Authenticity Radio.